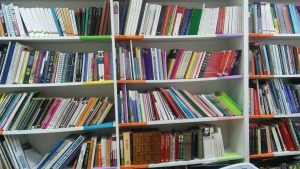 When in 2007 Sarajevo Open Centre started working, besides its primary goals, it began collecting material for the library. 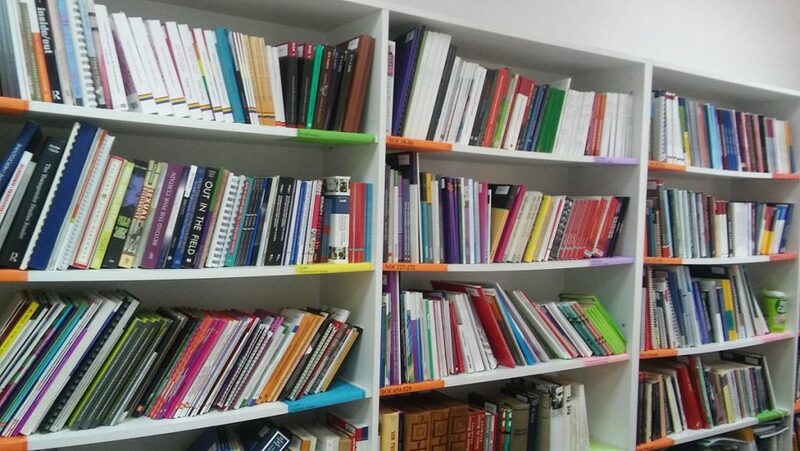 Since then, the library has been progressively growing, and until today it has collected more than 1000 materials, mostly by donations and purchase, but also books in SOC’s own edition. The library material is very diverse and our library today offers the latest domestic, regional and foreign literature in the fields of human rights of LGBT persons, queer theory and LGBT studies to students of undergraduate, graduate/master and doctoral studies, as well as rich selection of books related to theatre, film, literature, media culture, sociology, sexology, art history, anthropology, political philosophy, political science, history, medicine from the perspective of lesbian, gay, bisexual, trans*, intersex, asexual, queer issues, human rights and social theory. Also, the Department for Library and Documentation of the Sarajevo Human Rights Centre received a rich contemporary selection that Sarajevo Open Centre got in 2013. The joint initiative of SOC and the Centre was related to forming the study department named LGBT corner in the Human Rights Centre’s Library. This study department enables the users to find the materials related to the wide area of LGBT culture and human rights in one place, in the section LGBT studies. Queer studies. What makes our library unique is the literature concerning lesbian, gay, bisexual, transgender, transexual and intersex persons and LGBTI community in general, people who are almost invisible in the public domain/space, so our goal is to, by gathering these publications, make issues, needs, law and culture, that these people whose lives disturb social determinations and norms, closer to the public. The books are free to borrow. If you want to borrow some of the books, or have any questions regarding the library, you can contact jozo@soc.ba.